5つ星のうち1.0Not the real thing! Beware! This is an ABRIDGED version - not the original book! But there's no way to know that unless you've just read the original. I happened to be replacing my old torn, vintage copies with newer, sturdier ones for my toddler and that's the only reason I noticed the omission of certain words and sentences. I was outraged! Why would you edit out part of a children's classic? It's a classic for a reason and it's not like the original is much longer or harder to read - it's not Shakespeare. Frankly, I was pretty turned off by all the heavy-handed "I can read! Level 2!" stuff splashed all over the book that emphasizes mastering an academic skill rather than enjoying a funny book. Way to turn off kids AND parents...even more so when the message is, "Learn to read - but not REAL books." 5つ星のうち1.0An abridged edition of a children's book? Really!? This book was a required book for my daughter at school. This week the class began to read it and she noticed that her words were not matching up with her teacher's or classmates' books. My wife and I then found in fine print inside the book that this was an abridged version. Who does this to a children's book!? At least they could have had the decency to point it out somewhere. Nobody asked for an abridged version. My children love this book! (Girls aged 2,4, and 6). 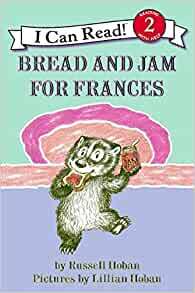 We have read a few of the Frances stories, but this seems to be a favorite. Picky eater Frances is given the opportunity to eat her favorite foods--bread and jam--for every meal. Of course, she discovers this to be monotonous and the story concludes with her eating with relish whatever her mother prepares. Simple story, pleasant illustrations, wholesome message. I remembered loving this book as a child and have enjoyed sharing it with my five year old. Frances explores sibling and friendship relationships in this book, and older preschoolers will find the challenging friendship situations and timeless and familiar. Frances gets left out of a ball game with her friend Albert one day because she is a girl, and then decides that her sister Gloria will be her best friend and excludes Albert. They are able to resolve their conflict and enjoy and an outing and picnic. The themes of exclusion, anger, fighting with friends are so familiar to me as a former teacher of four year olds! This story continues to be developmentally on target for 4-6 year olds I do not really love the use of the word "fat" in this book, however. Frances gets angry at Albert and calls him fat. I read this out loud to my son and have been changing the word to "mean" which destroys the rhyme, but it's important to me not to model body shaming. 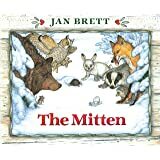 This was one of my favorite books when I was young, and I was happy to read the library's copy to my little ones. However, when I purchased this version on Amazon, it was not the same - they left out sentences here and there which, after reading the library's copy over and over and over, were sorely missed. If you've never read this book before, this version may be ok. However, I'd recommend sticking with the original, unabridged edition. It's not much longer (maybe 1 or 2 pages total?) but is better with all the original text. Another good one about picky eaters is the D.W. the Picky Eater in the Arthur series.